I’m not big on makeup. Never really have been, but recently, I’ve taken a real liking to the art and would like to believe that I’ve significantly upped my game!! My first love will always be deep, dark, sultry eyeliner but recently I’ve been adulterous and toyed with lipstick and even flirted with foundation. 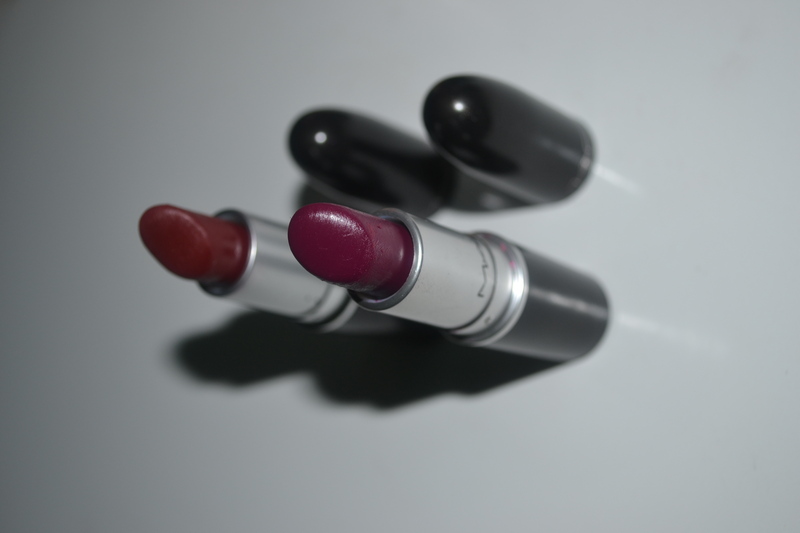 My love affair with the latter is very new and still requires a lot of work, but the real focus of this post is centered on the dynamic and seductive results achieved with lipstick. The Neutrals: This includes MAC’s Modesty and MAC’s Shy Girl. 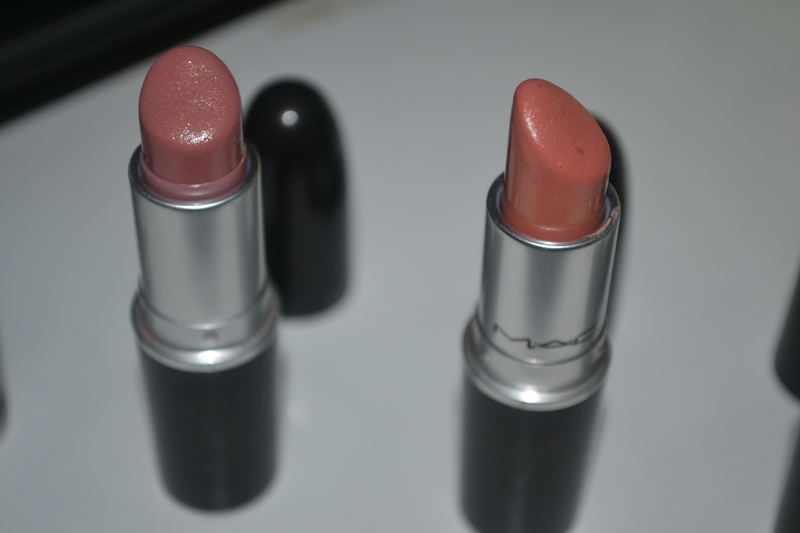 Both are cremesheen and glide on to moisutrised lips with an effortless stroke. As the names suggest, these classic shades are incredibly humble. The kind of nudes that allow you to slip away just as Prince Charming catches a glimpse of that smile. The Cinderella effect if you like! 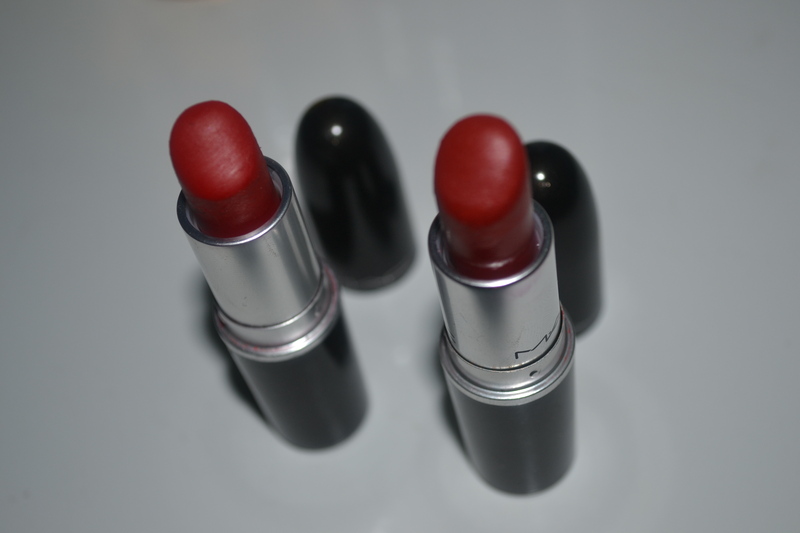 The Reds: Ever making a statement MAC’s Ruby Woo and Russian Red need no introduction. They are who they are, persuasive, intense and rich…. Fiery by nature! I must admit, the matte nature of these reds could be as detrimental as they are passionate and although both last for unimaginable hours, they dry out my lips leaving a chapped and hideous residue. I find that an intense exfoliation exercise needs to be carried out ahead of application. The Berries: These are my Prima Donnas! Need I say more? Diva is a matte finish but my all time favourite, Rebel is the perfect satin finish. She’s the right amount of edgy and announces herself upon arrival. Best of all, Rebel’s satin finish makes it easy to re-apply and goes with almost any skintone! You might have noticed that I was silent on my Topshop ‘Partition’ right at the back of my lipstick line. That’s because I’m still trying to figure it out. I’m not sure how long it lasts but I must say it’s an easy application. 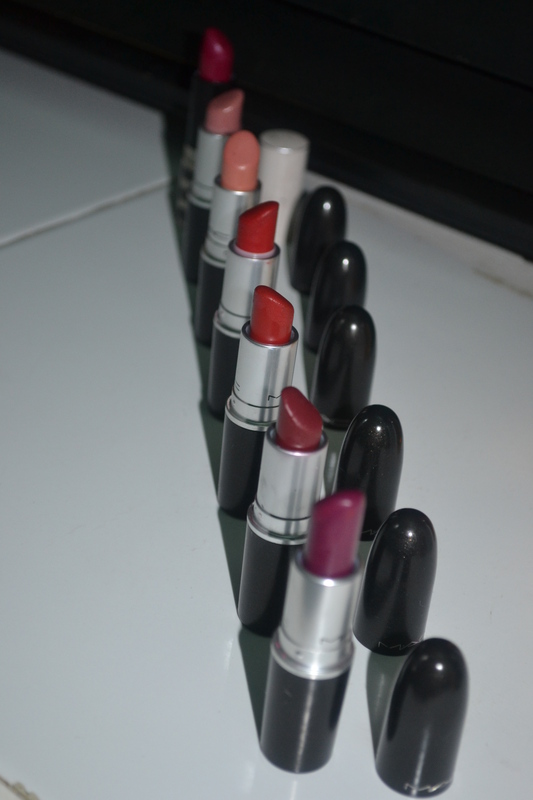 Addicted to (MAC) lipsticks? Do tell!!! Ps: Shout Out to Oyinkan (office intern aka APC!!!) for inspiring this post and stealing my Shy Girl! Pps: Music Update!!! Currently addicted to Ellie Gouldings “Love Me Like You Do”, Ariana Grande’s “One Last Time” and MI’s “Mine” ft. WizKid. Bonita Valli Powered by WordPress.com.